A user friendly control system is a critical part to any sophisticated media system and without it most systems would be too complicated to use. The simple act of turning on a TV and changing its channel would become a monumental task if the TV remote suddenly vanished. Now apply this scenario to a commercial system which has many more functions and features coupled with even more demanding users. May the nightmare begin. A third entry into the commercial programmed control system market is Global Scripter by Extron. This new development platform compliments their highly successful and proven configuration platform , Global Configurator, and the two are designed to work seamlessly together to provide a broad range of solutions for any application. So what is Global Scripter? Well, here is what Extron says..
“Global Scripter is Extron’s powerful and versatile control system programming software. This feature-rich integrated development environment is used to program Extron Pro Series control systems, and utilizes the easy-to-learn Python scripting language. Global Scripter includes an Extron-exclusive Python library – ControlScript™, that is designed to increase the productivity of AV programmers through incorporating functions used in AV control system projects, as well as helpful documentation, reference material, and sample code. 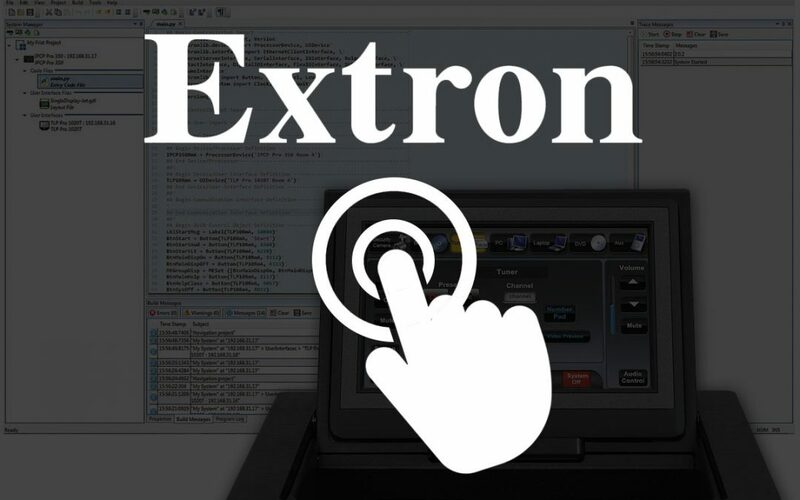 Extron built Global Scripter and the ControlScript Python libraries with programmers in mind. Working together, these components make it easier than ever to develop refined and innovative AV systems. Well that’s exciting stuff because the control system community welcomes this news and has been anticipating it quite some time. There has been a push for years to have a control system based on an openly accessible language such as Python, regardless of who brought it to market. Considering the current popularity of Python especially as a taught language, we think Extron did very well in choosing Python over other viable options such as Java or even C#. As a certified GS developer, TPI has spent a great deal of time developing and testing systems of all types since the release of GS. We find GS to be a clean and powerful platform with an excellent and dependable development environment. The published systems are feature rich and reliable with expected results and performance. Additionally, our development time has proven to be about the same as with AMX and Crestron and the reusability factor of our code is through the roof. The Extron GS solution is easily on par with AMX and Crestron alternatives and aside from preferential differences, GS performs as well if not better than both offerings. When we consider that both AMX and Crestron systems are currently closed proprietary development platforms we have acknowledge that Extron GS presents a clear advantage due to its ability to incorporate the full Python language, as it exists today and as it evolves in the future. The Extron hardware, both processors and touch panels, are some of the most reliable solutions on the market and are now coupled with a powerful and flexible programming language. This new offering easily makes an Extron GS solution a strong contender as a premier solution for even the most complicated systems.